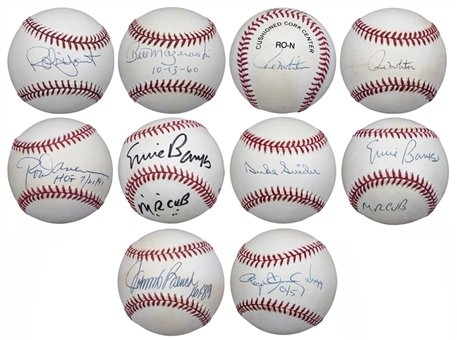 Offered here is a collection of 10 baseballs individually signed by Hall of Famers and stars. The first ball, an Official American League Bobby Brown baseball, has been signed by the Hall of Famer Paul Molitor on the sweet spot using black pen. The next three baseballs are all Official American League Gene A. Budig balls. The first has been signed on the sweet spot in blue pen by Rod Carew. Carew inscribed “HOF 7/21/91” in addition to his signature. The second Budig baseball has been signed on the sweet spot in blue pen by Roger Clemens. Clemens inscribed “Cy 5” and “WS 99” in addition to his signature. The final Budig baseball has been signed on the sweet spot in blue pen by Duke Snider. The next baseball, an Official Major League Allan H. Selig ball, has been signed on the sweet spot by Robin Yount. Yount has signed this baseball in blue pen. 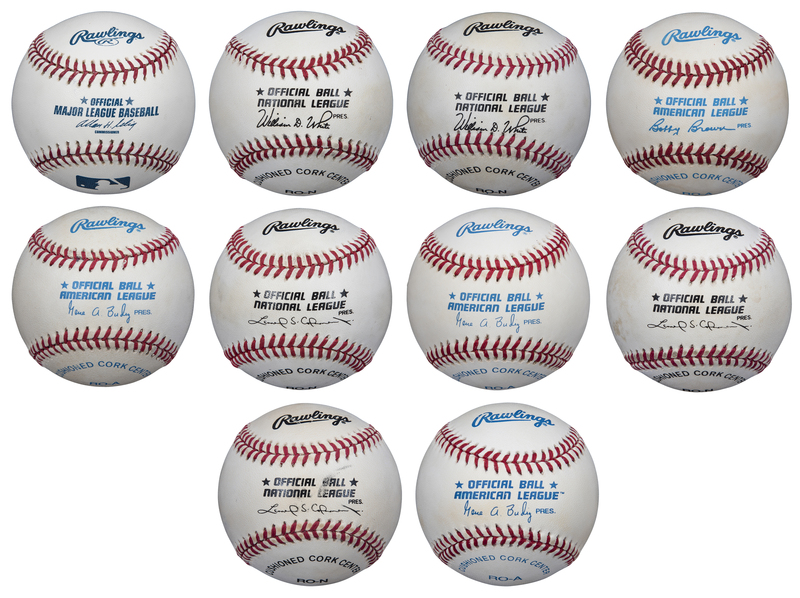 The next three baseballs are Official National League Leonard S. Coleman balls. The first two have been signed by Ernie Banks, with one signed in black marker and the second in blue pen. On the south panel of each ball, Banks inscribed “Mr. Cub”. The final Coleman baseball in this lot has been signed on the sweet spot in blue pen by Johnny Bench. Bench inscribed “HOF 89” below his signature. 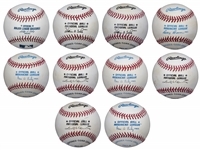 The final two baseballs are Official National League William D. White baseballs. The first has been signed on the panel west of the sweet spot by Paul Molitor. Molitor has signed this ball in blue pen. The final ball in this lot has been signed on the sweet spot by Bill Mazeroski in blue pen. “Maz” inscribed “10-13-60” below his signature, the date of his walk off homer in the 1960 Fall Classic. This lot has been pre-certified by Steve Grad of Beckett Authentication.